Cobalt is a healthcare real estate development and investment company dedicated to providing comprehensive real estate solutions in high bed need and under met demographic locations. The company has significant real estate development experience in numerous areas, with a core competency in inpatient rehabilitation hospitals. As experience medical developers, Cobalt supplies its investors and healthcare providers with a sharp focus on strategy and developing real estate in rapid growth sectors. Cobalt wraps its real estate solution around its core focus, operations and management. Cobalt focuses on providing exceptional patient care in state-of-the-art facilities that promote improved experiences and outcomes. We are a comprehensive hospital company holding a portfolio of physical Inpatient Rehabilitation Hospitals and Senior Living facilities in locations throughout the United States. 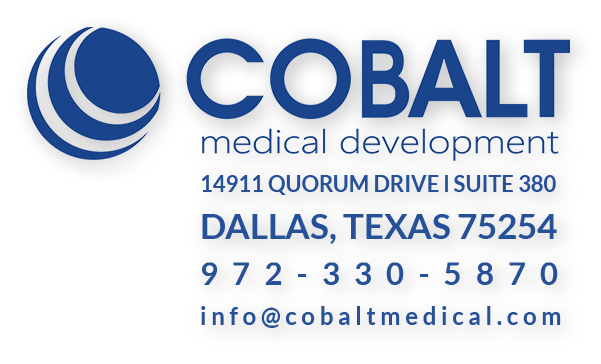 Cobalt understands the importance of establishing medical environments that support the mission of our healthcare clients. As a trusted partner, we collaborate with our family of investors, physicians and other medical professionals to create next generation rehabilitation and healthcare facilities. Cobalt does not treat patients like they are ill and in a hospital; instead they are treated like a guest, in a more home-like environment, with a focus on outstanding service at every point of contact, from their therapy programs to stay in general.